Edgars Club is offering members a new benefit where you can save 10% on comedy shows with Taylor Made Productions. This new benefit for Edgars Club members means you get to save 10% on comedy shows with Taylor Made Productions. Edgars Club members save 10% on Taylor Made Productions shows around the country, paying from as little as R180 instead of R200. If your stomach muscles can handle the hilarity of it all, then you’ll be glad to know that renowned South African comedian, Stuart Taylor, is bringing together the finest local and international comedy for South African audiences. 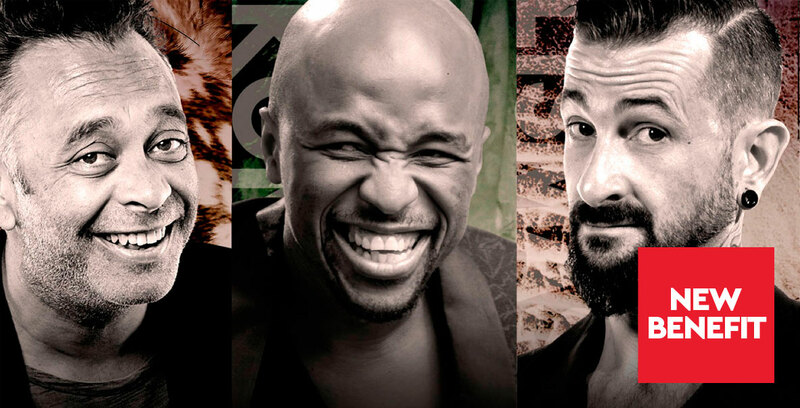 Treat yourself to a laugh a minute at various venues across the country including The Globe at Suncoast Casino in Durban, The Lyric at Gold Reef City in Joburg and Grand Arena in Cape Town. For more info on all the upcoming shows, click here. Ts and Cs apply. We are giving away a set of double tickets to each show, which inlcudes a meet-and-greet and photo opportunity with the comedians backstage. For more info and to enter, click here. Tc and Cs apply.